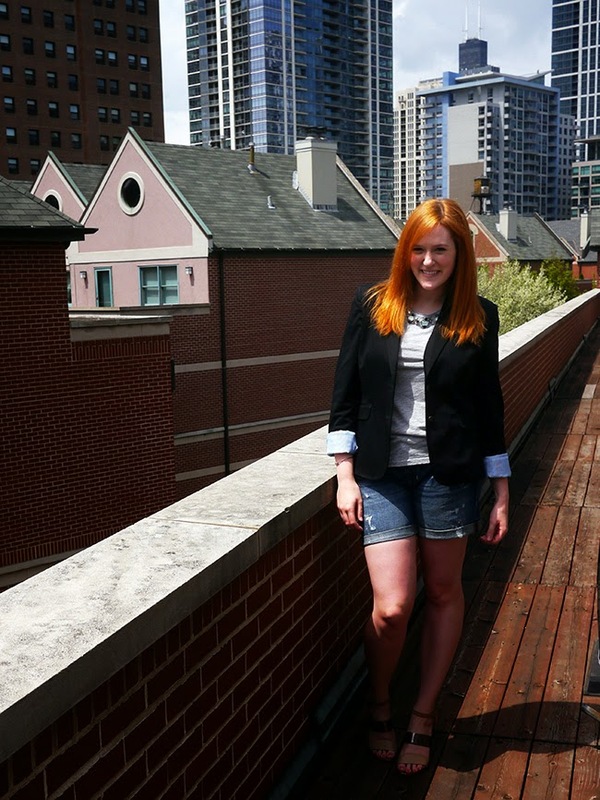 Kristina does the Internets: Shorts, People! That's right, this past weekend it was actually warm enough for shorts! I had to add a jacket for the evening, but it definitely still counts. I was super excited to finally be able to wear my new boyfriend shorts, which may be the comfiest jean shorts I've owned since I was seven years old. Actually, I'm not sure I owned a pair of jean shorts at seven, back in those days I was really into large print cotton shorts. That came with matching large print tees. What can I say, I was one stylin' '90s kid. So cute love the shorts! I love the shorts and blazer look! It is so simple but always chic and those wedges are PERFECTION! Yay for shorts! And how great that they are so comfortable AND look so good! I had the matching shorts & shirts at seven, too! This is a much better look! yayyyyy for warm weather! These shorts are the perfect length- I feel like it's so hard to find them not too short but not too long either. You're so cute! 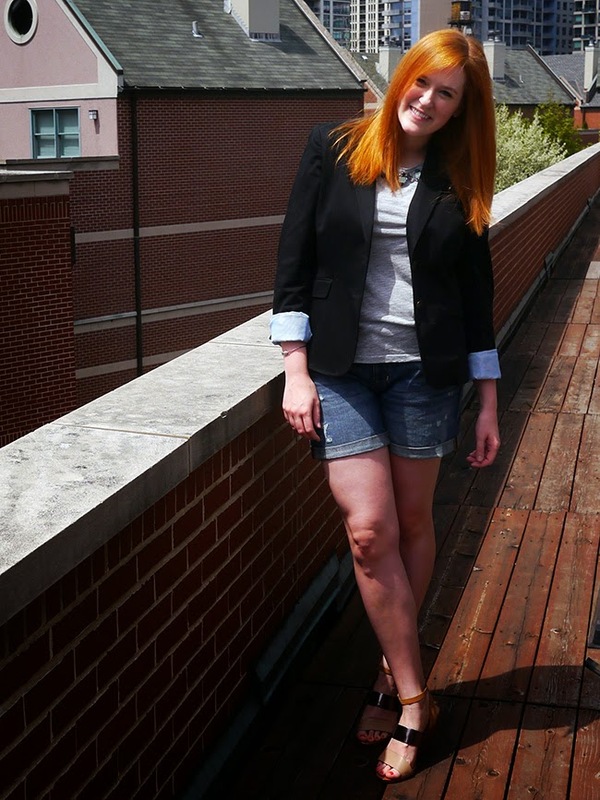 I love the look of shorts and a blazer! I had shorts on for the first time this weekend too! It was so nice to put away the pants for a couple days! I love me some shorts. Cute outfit, love the mix between casual and business attire. You look very pretty. I like the blazer with the shorts. It has been that hot in NC as well. Your ginger red hair is stunning. I am a red head as well.